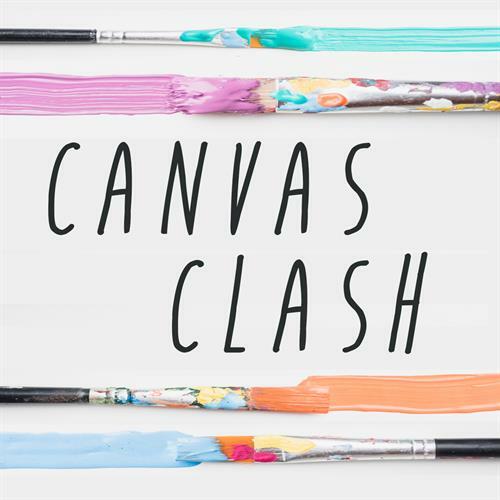 Lanesboro Arts is proud to present The Canvas Clash, a fast-paced, live painting tournament on Saturday, March 23 at 9 p.m. in the Commonweal Theatre Events Hall, as part of the Spring into Art Festival. 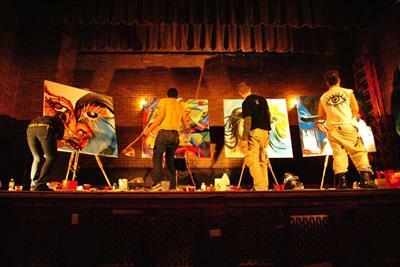 Eight artists will compete in a multi-round art battle, transforming blank canvases into beautiful pieces of art in just 20 minutes, with attendees voting on their favorites until a champion is crowned. 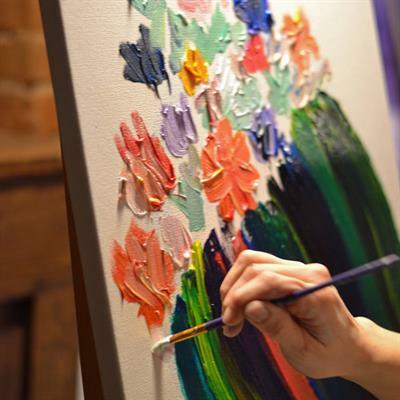 Enjoy craft brews and music by DJ Troy while seeing art created right before your eyes in a raucous, yet family-friendly environment. This event is open to the public with a $10 suggested donation at the door. 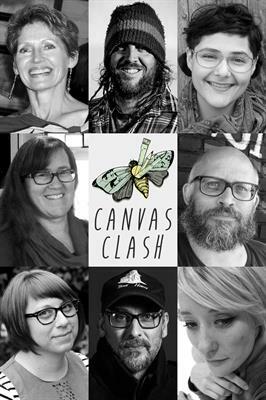 The Canvas Clash is showcasing a diverse roster of artists, each bringing a unique style and perspective to this exciting event. 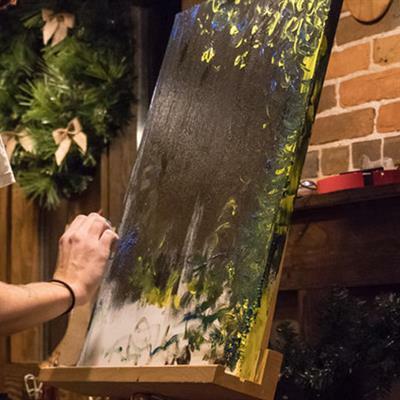 You may see artists creating abstract works, paintings inspired by the Lanesboro landscape or even depicting pop culture icons. Confirmed participating visual artists include Joan Finnegan, Jamie Harper, Samie Johnson, Stena Lieb, Erik Pearson, Jes Reyes, Lyon Smith and Meranda Turbak. Selected pieces will be made available for sale via a sealed bid auction. Attendees will receive three tickets when they arrive, which will be used to vote once after each round. Attendees have five minutes after each round to vote for their favorite work by placing a ticket in corresponding artist’s bucket at the voting table. Volunteers will then count the number of tickets in each bucket and announce the artists that will advance (or who has won). Elimination will work as follows: Round one – first group of 4 artists, Round two – second group of 4 artists, Round three – head to head match up of winners from rounds 1 and 2. Lanesboro Arts is looking for volunteers to help count ballots, re-stock supplies, and clean materials in between each round. Please contact Adam at adam@lanesboroarts.org or 507-467-2446 x4 if you are interested in volunteering at this unique event. Samie Johnson is an artist and community member born and raised in Minneapolis, MN. Samie began her arts education at Perpich Arts High School and spent 10 months post graduation participating in Public Allies- a leadership development Americorps program. Since 2012 She has been working with Goodspace Murals in Minneapolis on various mural projects including the “Colors of Bluff Country” mural on back of the State Mane Theater. As an artist she continues to be inspired by the intersection of art, community building and spaces for social change and healing. 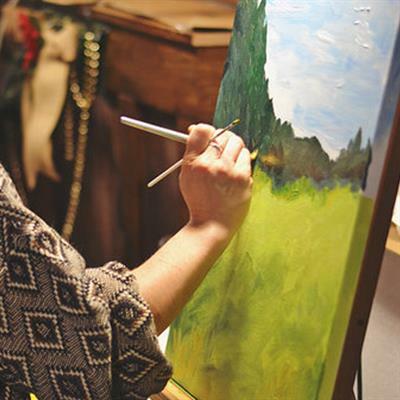 Stena Lieb is the full-time art teacher at Lanesboro Public Schools. A native of the Lanesboro area, Lieb graduated from LPS in 1997 and went on to major in K-12 Visual Arts at Winona State University, graduating with honors in 2002. A mother of five from a creative family, Lieb lives on a farm near Pilot Mound. She currently teaches classes in printmaking, journalism, fiber arts, elementary art, drawing & painting, and 7th & 8th grade art. She also helped organize an Empty Bowls event at LPS in February 2019. Jes Reyes is an interdisciplinary artist, curator, and arts administrator. She has exhibited with Feminist Video Quarterly, Made Here, and the Walker Art Center and is the founder of the Altered Esthetics Film Festival. 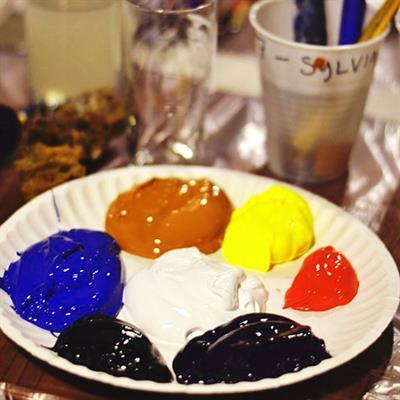 She coordinates programming for Avivo ArtWorks (formerly Spectrum ArtWorks), a multifaceted, community-focused art studio for artists living with mental illness. She has a BA in Women’s Studies and Film/Electronic Arts from California State University, Long Beach and a Master of Liberal Studies from the University of Minnesota, Twin Cities. jesreyes.com. Saturday, March 23 at 9 p.m.
No admission charge. $10 suggested donation at the door. No one turned away.